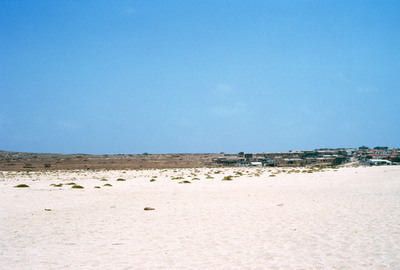 A view of Vila do Maio across the white sands of a nearby beach. This view shows how flat and dry the island is. It has been called the "forgotten island," and it's principle resource is salt, which was heavy mined and exported from the 16th to the 19th century.